As you know, I’m on a mission to eat more healthily; not just by embarking on a silly fad diet, but by introducing better, more balanced food choices as part of my everyday lifestyle. And I am feeling so much better for it. Thanks to my fellow bloggers who took part in the latest Spice Trail challenge, I now have an incredible menu of vibrantly virtuous (and of course beautifully spiced) dishes to test out in the weeks and months ahead. Take a look at the entries below – eating well never looked so tempting! It’s so important to start each day well with a good breakfast. How about one of these pretty Fruit & Nut Porridge Pots (1) from Gluten Free Alchemist? Perhaps washed down with a freshly made juice? We have three for you to choose from. A Beetroot, Orange, Carrot & Ginger Juice (2) from yours truly, a Green Goddess Smoothie (3) from How to Cook Good Food, and a Carrot, Apple & Ginger Smoothie (4) from Eat Like You Love Yourself. On our soup menu we have Chunky Vegetable Soup with Spinach-Cashew Pesto (5) from Elizabeth’s Kitchen, Spiced Lentil, Carrot and Roasted Tomato Soup (6) from Chocolate Log Blog (and yes it does have chocolate in there! ), Supergreens Soup (7) from How to Cook Good Food (isn’t that the most amazing colour? ), Miso Soup with Tofu, Asparagus, Cabbage & Furikake Seasoning (8) from Franglais Kitchen, Sunflower Seed Soup (9) from Cooking for Kishore, and last but not least a lovely Asian Duck Noodle Soup (10) from Lapin d’Or. Next up we have a brilliant selection of vegetarian sides, salads and mains. One of my new eating habits has been to cut back on processed carbs and to up the ante on vegetables, wholegrains, beans and pulses. There’s some excellent inspiration here. How about this wonderful Gluten-free Muhammara (11) from Tortilla for Tea for instance, or how about a tasty Freekeh Date Pilaf (12) from Chef Mireille’s East West Realm? This Slimming World-style Cauliflower Rice (13) from Caroline Makes is a clever alternative to normal rice. I love the look of this jewelled Chestnut & Quinoa Stuffed Butternut Squash (14) from Pebble Soup, while this Beetroot & Chickpea Salad (15) from SliceOffMe definitely has my name on it. It’s no surprise we have a number of Indian-inspired entries; surely India is the spiritual home of temple food. This fabulous Chickpea & Spinach Curry (16) from My Golden Pear is packed full of my favourite ingredients, while this beautifully spiced Kachodi with Brinjal Curry Salad & Rice (17) from Asan Khana screams out wholesome comfort food. I just want to dive right into this Butternut Squash & Chickpea Masala Curry (18) from Elizabeth’s Kitchen, made using a spice mix from Our House of Spice. 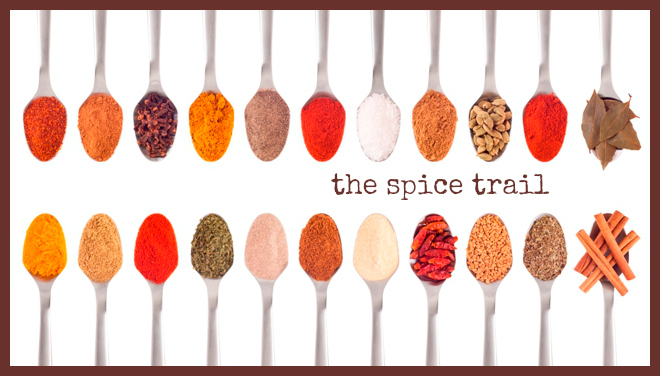 (I’ll be reviewing some of their other spice mixes soon – watch this space!) Healthy, comforting, and cheap as chips too, doesn’t this Tarka Daal (19) from The Hedgecombers look so incredibly tempting? Might make a good accompaniment to my oven-baked Kale & Cauliflower Samosas (20). While I have massively reduced the amount of meat I eat, I haven’t cut it out completely, and so I was pleased to see a few temple offerings for carnivores. These Allspice and Paprika Poussins with Chorizo (21) from Food Glorious Food look particularly inviting, as does this sumptuous Beef Stir Fry (22) from Jibber Jabber UK. Maracuyti’s Oatmeal & Meatballs Zereshk Stew (23) looks and sounds absolutely delicious – I’ve never used oatmeal in a stew before and I’m intrigued. Eat Like You Love Yourself brings us our solitary fish dish in the form of her Prawn & Pineapple Skewers (24), which sounds like a heavenly combination. And Caroline Makes spoils us with a whole banquet with her Slimming World Fakeaway Chinese New Year Meal (25). I loved reading about Nasifriet’s experience of first introducing tofu to her child – it brought back memories of when I tried it as a little girl. “Yuck!” was our mutual reaction. But Nasifriet persevered, and the end result is her “very special” Mapo Tofu (26), which is absolutely packed full of flavour. I can’t say cabbage is my favourite vegetable. We tend to get rather a lot of it in our veg boxes at this time of year. But it does look rather good in this spicy Cabbage Chutney (27) from Praba’s Yummy Experiments, don’t you think? Burgers don’t need to be out-of-bounds when you’re trying to eat healthily, especially when you’ve got the recipe for this Sweet Potato and Halloumi Burger (28) from Caroline Makes – low-fat and incredibly tasty too. Fantastic! I must admit I’ve drastically cut down the amount of puddings and cakes I eat these days, so I was thrilled to see some healthy sweet treats in the mix. We have a dairy-free Thai Mango Sorbet (31) from Maracuyti, flavoured with coconut milk, lemongrass, lime leaves – ooh yum! And a Crustless Melktert (Milk Tart) (32) from My Farm Life Diary, which sounds sublime. Farmersgirl Kitchen brings us her Sweet Potato, Ginger and Lemongrass Muffins (33), which I was surprised to read was made with a Knorr Flavour Pot – how ingenious! A good crumble is my ultimate comfort pud, and this Apple, Coconut, Mango and Kiwi Crumble (34) from Food Glorious Food looks like a very good crumble to me, packed full of delicious exotic fruits. And rounding things up we have a Mango Pineapple Kesari (35) from Home Cook Food, which is like an Indian fudge or halwa. It’s often served in Indian temples – so how appropriate is that? So there you have The Spice Trail ‘temple food’ round-up. Eating well clearly doesn’t need to mean suffering a diet of brown rice and salad! I’m so excited about all the new recipes I have now to try out – thank you so much to everyone that has shared their dishes. But I’m afraid to say there can be only one winner. And this month the prize goes to… Solange from Pebble Soup for her glorious Chestnut & Quinoa Stuffed Butternut Squash. Solange will receive £50 worth of deliciously healthy goodies from the kind people at Marks and Spencer. Thanks again to everyone for linking up their brilliant recipes and a huge congratulations to Solange from Pebble Soup on her well-deserved win! The Spice Trail is taking a little holiday for the rest of March, but it will be back in April with another very spicy challenge. See you soon! We got such a fabulous selection, didn’t we?! You have an amazing selecting this month. I am really digging the tarka dal. Wow, this round up is magnificent – The good people at M&S must have had difficulties to choose – my healthy campaign so far has been sporadic so thank you for putting me back on track. 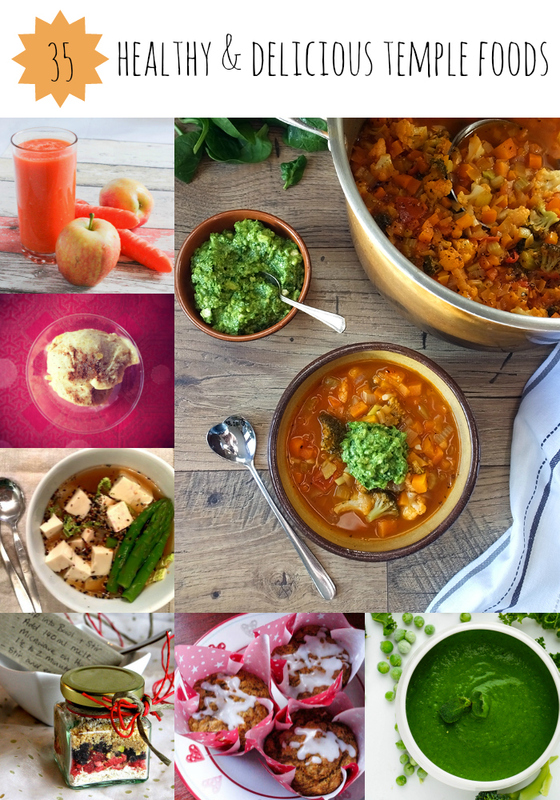 What an amazing round up with some beautiful (and very healthy looking dishes) There are quite a few I have my eye on to try! Drat, I was so busy I forgot to add that recipe I asked you about to the challenge, sorry about that, I will try to enter this month if I can, as I am away for 2 weeks! Fan round up! What a wonderful selection. I am so deep in chocolate recipe development at the moment that I need these to offset !